There's a purity to shmups that really speaks to me. 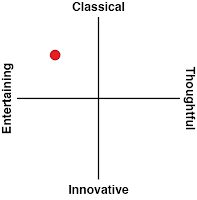 I'm not sure if it's the easy to pick-up-and-play, but tough to master strategy and challenge behind them. Or the simple, unpretentious motivation of manoeuvring your unassuming space vessel between a multitude of hazards, in your nail-biting, edge-of-your-seat bid to survive from a constantly escalating threat of incoming enemy gunfire, all whilst dealing rightful justice to the murderous dangers that are fastiduously designed to see you pushing up the daisies. Or perhaps, it's the rather straightforward fact that I was raised on shmups growing up and they have somehow become fused to my gaming DNA. No, I'm pretty sure its beauty lies within its sheer elegance - its admirable, reverential, comfort within its own retro skin. Shmups, when done right, are an elegant, beautiful approach to gameplay that respectfully acknowledges that the best elements of gameplay design are often those that have been left in the past, delicately dusted off and given a new lease of life. Score Rush Extended is an excellent example of this. It's fast, it's frantic and it's impeccably balanced. 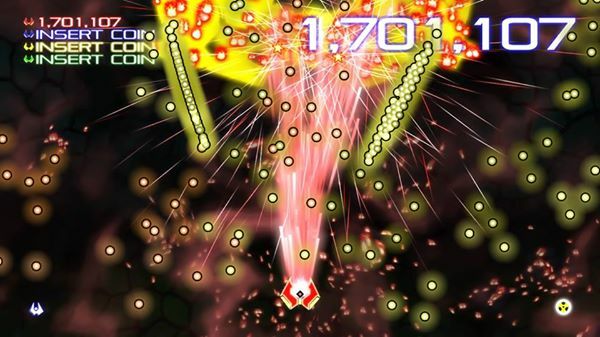 It's a lovingly crafted throwback that exemplifies why shmups are just so damn addictive. This is a wonderful, 2D bullet-hell shmup that adheres to the time-tested blueprint with panache and precision. It's very much a love-letter to the old-school, coin-guzzling arcade shmup action games of yore. It was also a number one best-seller in Japan - this scrolling shmup is legit. Like many of the arcade games of yesteryear, there is no story or narrative to speak of. It's a classic demonstration of pure, unadulterated gameplay that is, more-often-than-not, forgotten about in this day and age. You shoot enemies, you collect powerups to upgrade your firepower, you dodge projectiles with heart-in-mouth precision, you best large, bullet-spraying bosses and chase that ever-increasing high score. Sure, this isn't a ground-breaking, boundary-pushing game, but it is, like I said before, comfortable with that. It does what it does and it does it incredibly well. Visually, Score Rush Extended is silky smooth, with a remarkably vivid colour palette. Enemy and boss designs feel like they've been lifted straight out of early shooter games, like Taito's iconic 1978 Arcade shooter Space Invaders, but as you may expect, here they are given a welcome lick of HD polish. Things can get incredibly hectic, and it takes a little time to adjust to the game's breakneck speed, but the learning curve is pitched just right, which is absolutely key in games like this. Punctuating the moment-to-moment mayhem is a riff-laden, guitar-rock soundtrack that can, unfortunately, get a little on the repetitive side. However, it's delivered with such bombastic authority, that it's hard to not be hooked in by its ostentatious approach. Complementing the soundtrack is some terrific sound design, with weapons, enemies and explosions sounding satisfyingly on-point. The game supports up to four player coop which is an absolute blast to play. The on-screen action can get a touch on the busy side, with bullets flying everywhere, nevertheless this is a great choice for couch coop sessions with your friends. Just make sure they get some practice in before aiming for the leaderboards, because Score Rush Extended can be punishing for both novices and newcomers. Now, onto the elephant in the room. This was originally an Xbox 360 indie title and to be completely honest, the core game is pretty much identical. There are a few bells and whistles peppered in for PS4 players: trophy support, a new Boss Mode and a couple of unlockable difficulty modes that all help round out the package, but I would've liked to have seen a few more features or modes implemented, especially when you can get a very similar experience for about half the price on another platform. 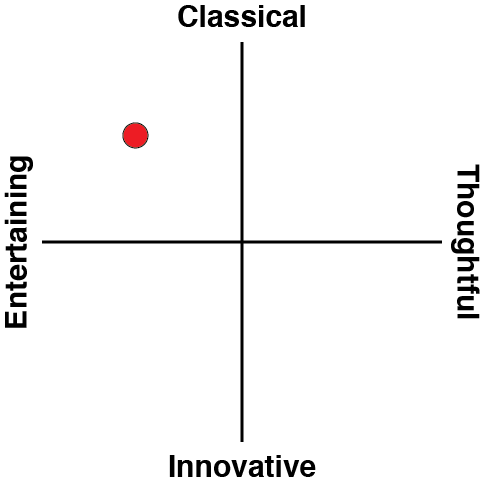 Despite this, it is still a great value proposition, particularly for fans of the genre. Related reading: For a 3D shmup that is essential, Kromaia Omega is really quite special. Clark's full review. 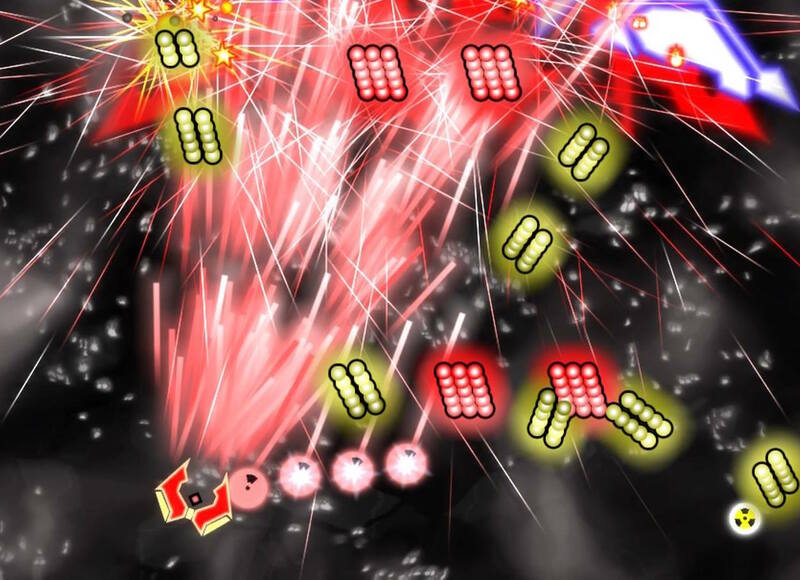 Score Rush Extended is a marvellous and elegant bullet-hell shmup that is fantastically balanced and very well crafted. It's a heartfelt celebration of a genre that is often, sadly, overlooked by today's gamers. 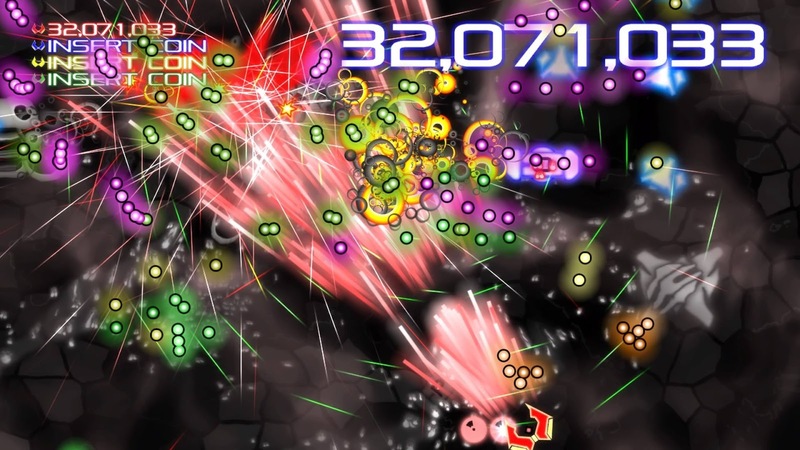 Those looking for a taste of the old-school shmups of yore will quite simply be in bullet heaven with this little gem.